Ferozepur, a place where the British first established their rule in 1835, is also known for its holy shrines and historical places. One of the most revered places here is Dargah Hazrat Sher Shah Wali, a Sufi shrine. 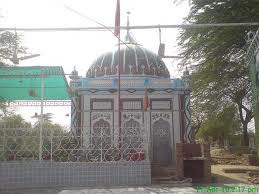 The Sufi shrine, dedicated to Sufi saint Hazrat Sher Shah Wali, is located in the Cantonment area of the border city in Punjab. The devout, irrespective of their caste, creed or religion come here. Recently, a large number of people visited the Dargah Hazrat Sher Shah Wali on the occasion of annual Urs, the death anniversary of the Sufi saint. Most of the believers visited the shrine to offer “Chadar” or, a long piece of cloth over the grave of the revered saint as a mark of respect. Later, many devotees danced to the tunes of traditional drum beats while chanting the saint’s praises and remembering their beloved saint. It is said the Chisti saint breathed his last at this place. Though his mortal remains were taken to his native village in Patti, Amritsar and buried there, his followers built a small edifice at Ferozepur in his memory. None of the locals have any idea about the origin of the Sufi shrine. But they are happy with the fact that the shrine gives a message that all human beings are the same. Though some of the elders visiting Sufi shrine recollected how the Sufi saint’s shrine used to be visited by Hindus and Muslims even before Hindustan divided into India and Pakistan. In the evenings, Qawwali singers sing Sufi songs and continue the day-long prayers and rituals. Residents swear that the city was saved from the ravages of the two wars of 1965 and 1971 because of Baba. It is said Baba’s blessings are for all the sufferers visiting his shrine.